Thank you for visiting St John’s Cathedral’s events page. Here you will find information about concerts, seminars, workshops, special church services, short-term exhibitions and community events taking place at the Cathedral or in the Cathedral Precinct. 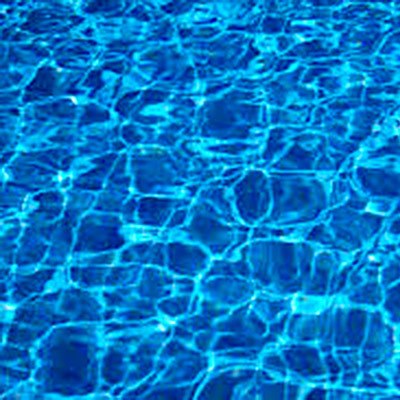 On this page, items will generally be presented with imminent or current events at the top of the page, and longer-running or future events beneath. Please see the sidebox below left for more information. Offsite events, particular theme days/weeks or festivals which might be of wider interest are more likely to be found in the GENERAL NEWS section on the home page of this website. This is not a hard-and-fast rule: we will be keeping an eye on the dispersal of information across this new website, to try to minimise the number of clicks and cross-reference links needed. Regarding links, some of the events featured here (and on the home page) may require registration, ticketing or booking fees. Where this is the case, either the event image or a specific text link should take you to the relevant (external) website for more details. 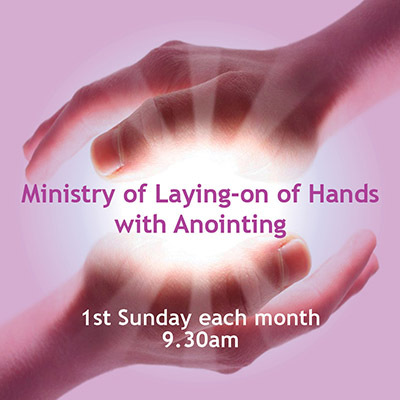 The Ministry of Laying on of Hands with Anointing is also available at other times, including after each act of worship. Please contact the Cathedral Office. 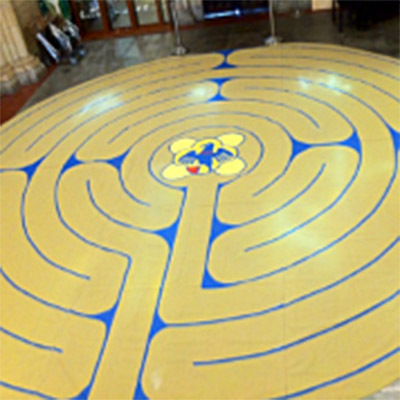 Walking the Labyrinth occurs on the first Sunday of each month following the 9.30am Eucharist. If you have not walked the Labyrinth before, you would be most welcome to join the group who regularly do so. Please join us to walk the Labyrinth – we meet under the Rose Window. and in between everyday’s noise. underneath the whirlwind of sound. 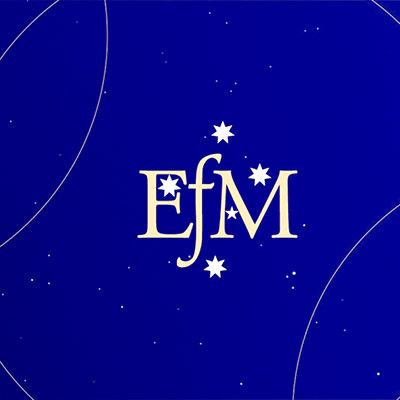 EfM can be summed up as Exploring Faith Matters! It is formational and transformational for Christian life and ministry. We do EfM in small groups led by trained mentors. Through individual study, sharing discoveries and exploring our faith together, we learn to think theologically. We connect what we come to know of the Christian tradition with our ordinary daily activities. The 2018 EfM group developed a ‘taster’ program for 2019, to introduce newcomers with sample sessions over several weeks. These sessions are held in St Martin’s House at 6.00pm. To find out more, please call the Cathedral Office on 3835 2222 during business hours. 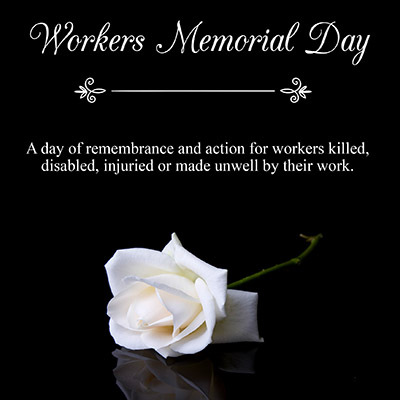 A day of remembrance and action for workers killed, disabled, injured or made unwell by their work. All are most welcome to join us in this reflection. MORE INFO: visit our LOAVES&FISHES page. The Rev’d John Bell is an inspiring hymn-writer, liturgist, author and occasional broadcaster with The Iona Community based in Glasgow. 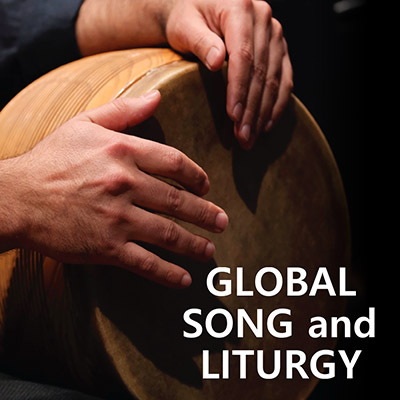 Discover liturgy and culture from across the world in this free event with John, and take home a new song for your community to sing at Pentecost. Hosted by PMC and presented by Anglican Church Southern Queensland. The Tuesday evening group meets at 6:45pm in the Lady Chapel, or in St Martin’s House if there is another event being held in the Cathedral. All are welcome also to join us for a shared meal before meditation any time after 5:30pm in the St Martin’s House kitchen. For entry at this time come to the rear corner door and press the buzzer marked “Passage”. Newcomers are invited to come to the Lady Chapel at 6.30pm to be introduced to the space and to our method. The Thursday morning group meets from 11.30am to 12.15pm in the Choir Room in St Martin’s House. All are welcome to gather for conversation over morning tea before meditation at 11.00am and/or to attend the 12.30pm Eucharist afterwards. Come to main reception in St Martin’s House. 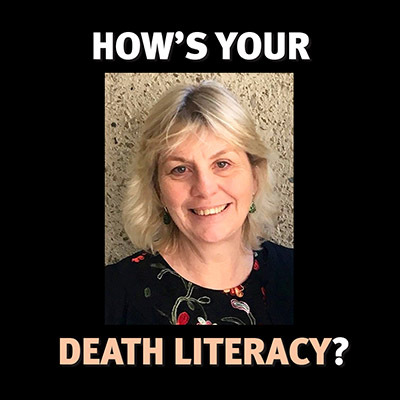 Dr Sarah Winch is a very experienced professional and author of the book “The Best Death And How To Die Well”. 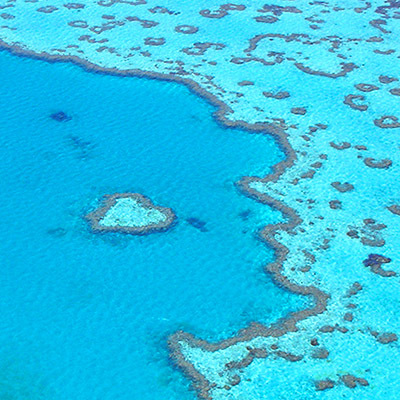 of Queensland, and CEO of Health Ethics Australia, a charity aiming to improve death literacy for Australians and compassion safety for clinicians, and is passionate about supporting people and their families through the palliative care system and into the ‘best death’ possible. All are most welcome to join us and share in Sarah’s insights. St John’s offers Evensong at 6.00pm on Sundays. We also offer an intimate expression of Evensong on the first Wednesday of most months. Members of the congregation join the choir in the choir stalls. ~ and John Rutter’s choral masterpiece. The UQ Singers, Brisbane Baroque Players and UQ Chorale combine forces ~ and voices ~ to give us TE DEUM and the ASCENSION ORATORIO in this magnificent Sunday afternoon performance in our Cathedral. Children (school age and under) free. 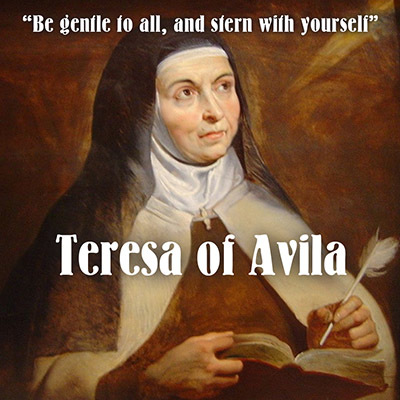 Our own resident Canon Pastor, Rev’d Julia Van Den Bos will be speaking about the 16th Century Spanish mystic, Roman Catholic saint, Carmelite nun, author and theologian Teresa of Avila. We look forward to hearing The Rev’d Julia’s thoughts on Teresa and all are invited to stay after Evensong to share some refreshments and engage in question-and-answer time and discussions around this particular mystic and the impact she made on our lives today. 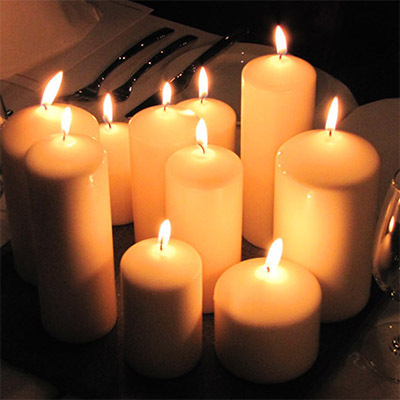 On the second Wednesday of each month all are welcome to share in a contemplative Eucharistic service. This service holds space for each of us to contemplate the mystery of God in our midst through silence and stillness, and in the bread and wine. The service commences at 6.00pm, but those who would like to meditate before the service are welcome to arrive from 5.30pm to enjoy the silence in this beautiful space. ‘Plan Be’ rescues the ‘ Be-Attitudes’ from obscurity and uses them for ‘Plan Be’ — ‘being the change we want to see in the world’. ‘Plan Be’ is a simple practical easy-to-use manual for a do-it-yourself global ethical revolution. In this book Dave Andrews rescues the ‘beatitudes’ from their obscurity as a poetic introduction to Jesus’ sermon on the Mount, and reframes them as a set of radical ‘Be-Attitudes’ that we can use as a life-changing framework for ‘being the change we want to see in the world’. In eight concise, punchy chapters Dave unpacks the hidden dynamics in the eight Be-Attitudes and shows us how they can help us reshape our personal-political worlds. The book is available from The Cathedral Shop. This study is a foray into a new venture as we will be making the Thursday evening sessions at The Cathedral fully interactive by the medium of Facebook Live. By logging on Facebook and connecting to our St John’s Cathedral page, you will be able to see and hear the group meeting here at the Cathedral and join in the discussions through your device or computer at home.